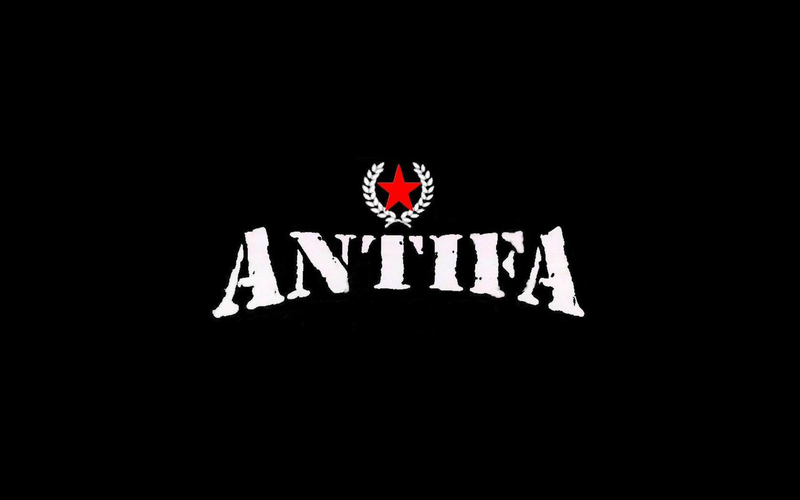 Antifa stands for anti-fascism, which is described as the opposition to Fascist ideologies, groups, and individuals. The anti-Fascist movement began in a few European countries in the 1920’s, and after World War I, eventually spread to other countries around the world. After World War II, the Albanian and Serbian resistance was instrumental in the underground resistance. This movement, which started in Italy -during the time of Mussolini-, moved to the Slovenians from the 1920’s until 1947. It then swept through Germany as a fight against Hitler and a resistance to Nazism. Spain adopted the movement of Antifa as a fight against the Nationalists during its Civil War, and from there it spread to France as part of their Third Republic. After France the movement made it to the United Kingdom as a part of the British Union of Fascists, which is also known as BUF. The Antifa movement was primarily used to fight Fascist powers and as a way for society to say that it didn’t agree with what was happening in its country, its community, or its government. Antifa hit the United States as a fight against New Germany and the Ku Klux Klan. After World War II, Antifa was both liberal and militant in most of the countries to which the group existed. In the 1960’s there were sixty-two groups of Antifa that continued to struggle against neo-Nazis, fascism, and nationalism. By the 1970’s, the Fascists battled by Antifa were considered the far-right, and were known as the National Front and the British Movement. Both organizations were becoming increasingly public, and even gained favor in political groups, until Antifa fought back by disrupting their public meetings and newspaper sales. The Antifa groups involved in this campaign were primarily groups against racism and fascism which wanted equality and civil rights. By the 1990’s, this group became known as one that would fight against communism, fascism, racism and inequality around the world. How then, given the history of this group, did it go from being a political organization that helped fight social harms, to being declared a terrorist group? Recently, there has been discussion as to whether the organization helps people or hurts people. This debate arose over the past few years due to the rise of the militant aspect of the group. While not all branches of Antifa are militant, the ones that are have been in the spotlight much more than the peaceful chapters. One reason for this is that the original founders of the movements have passed on, moved on, or are no longer in leadership roles . The new age Antifa seems to fight violence with violence. After the election of Donald Trump last November, Antifa activists locked onto a new target– Trump supporters. This was primarily based on the consideration White Supremacists and Nationalists. In the capital of Texas, armed Antifa protesters attacked Trump advocates and white groups at many rallies ; they even swarmed police, successfully stopping the arrests of Antifa members. In addition, at the Sacramento rally, Antifa members at the Sacramento rally engaged in several violent activities, indicating proficiency in pre-operational planning. They also organized carpools to and from various locations, and raised money for bail in preparation of arrests. Antifa even assembled three-man scout teams that used handheld radios to communicate as well as to watch law the movement of law enforcements movements. Because of their precise and methodical actions at this rally, lawmakers s have begun to wonder what to label the group. Another example of this occurred recently in Charlottesville, where dozens of black-hooded protesters were filmed pummeling people in the city streets. Antifa, in this instance, was labeled as vigilantes by the press, while the Mayor referred to them as a street gang. The same day, the California legislature declared that any acts of violence by Antifa against White Nationalists and Neo-Nazis would be considered a terrorist act under state law. Antifa has been growing in California and the Bay area for months, as well as spreading to combat the Alt-Right also known as the Alternative Right, which is a group of people, mostly online, who identify as right-wingers but consider themselves either opposed to, or profoundly alienated from mainstream American conservatism — usually because they view it as being too liberal, or preoccupied with the wrong issues. The recent acts of Antifa have led to the Department of Homeland Security to officially deeming it a domestic terror organization. As it seems, something that had started out with good intentions has been relabeled as something bad that people should not associate with. With that, the rise — and the fall– of Antifa is complete. The people that use to associate with the group, for the good that it could do, no longer will, as the group is now known as one of domestic terrorists, full of Anarchist Extremists. O’Reilly, Andrew. “Antifa Violence Leaves Leftists to Question Whether Movement Hurts or Helps.” Fox News, FOX News Network, 30 Aug. 2017, http://www.foxnews.com/us/2017/08/30/antifa-violence-leaves-leftists-to-question-whether-movement-hurts-or-helps.html. Sanchez , Trey. “Homeland Security Makes It Official: Antifa ‘Domestic Terrorists’.” Truth Revolt, 1 Sept. 2017, http://www.truthrevolt.org/news/homeland-security-makes-it-official-antifa-domestic-terrorists. Queally, James, et al. “After Bay Area Violence, California Debates Classifying ‘Antifa’ as a Street Gang.” Los Angeles Times, Los Angeles Times, 4 Sept. 2017,www.latimes.com/local/lanow/la-me-ln-antifa-gang-20170904-story.html.